90 degree chamfer, CNC CNC, CBN grinding wheel. 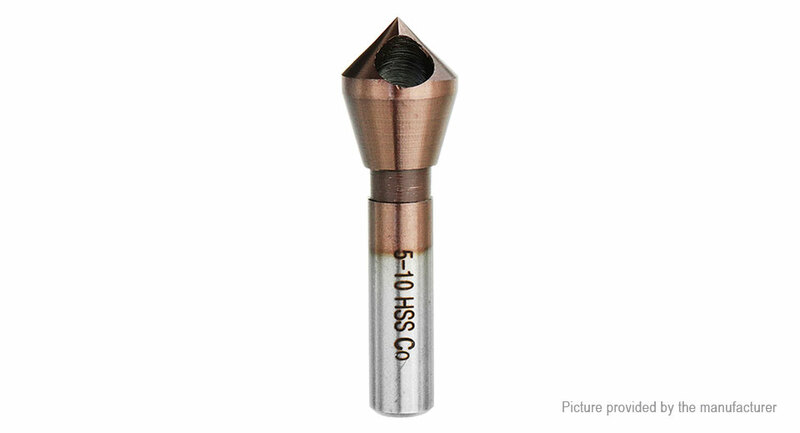 Higher accuracy sharper achieve drilling burr. Internal chip removal: To eliminate the phenomenon of flying metal shavings. Plated cobalt coating, a substantial increase in the wear resistance and oxidation resistance. 8mm round handle: Double top grinding, ensure that the tool concentricity.